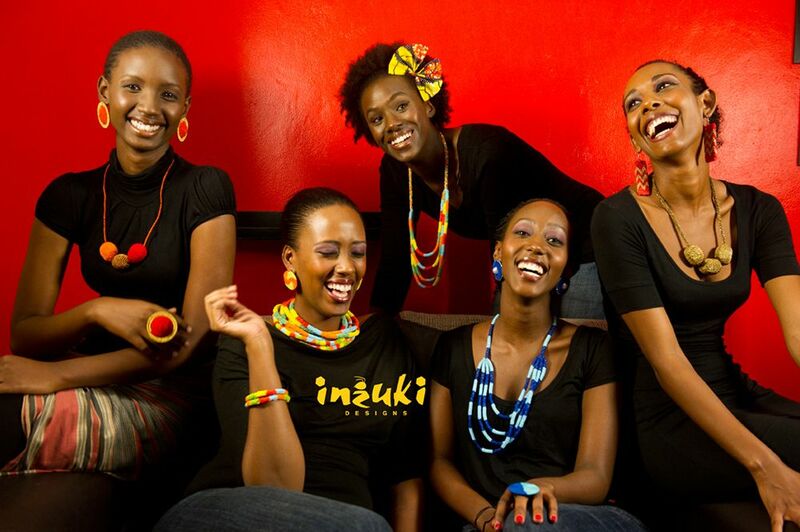 Inzuki Designs is a company based in Kigali, Rwanda founded by the creative, Teta Isibo, specialising in African beaded accessories like earrings, bungles, clutches, and interior decor which is hand-made from primarily local material. 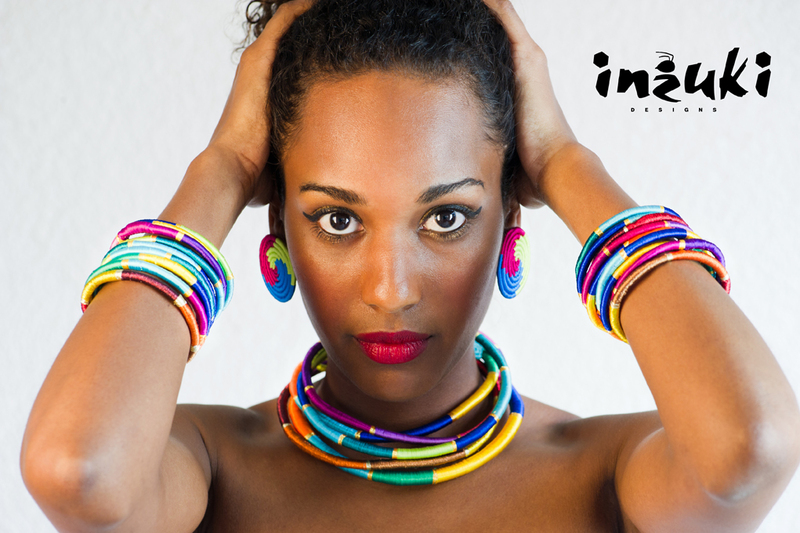 I always see a lot of African accessories and I can't help but be in awe of such beautiful things made out African raw material. 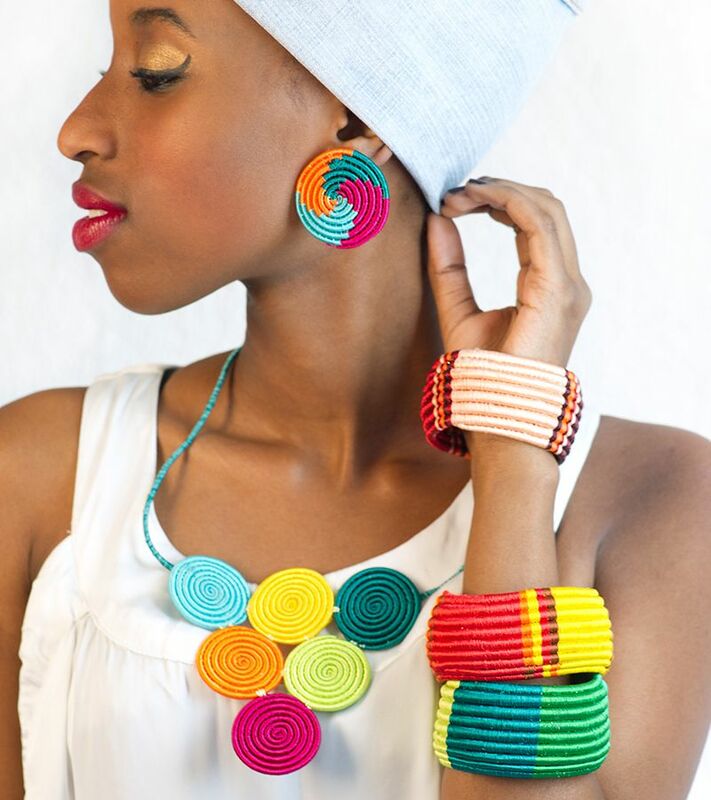 I'm fascinated by African print to African accessories, the list goes on. The one thing I appreciate and love about rocking African stuff is the fact that every piece is different and always makes a statement (well, as far as I'm concerned) which means you don't have to wear everything at once, just one piece at a time is enough and you'll shine brighter than diamonds in the DRC lol. Having found Inzuki Designs, I couldn't help but share. Their stuff is 'freshe' like Kuli Chana would say. I love the colour blending. If I happen to pay them a visit, I will definitely feel like a little girl in a candy shop just how I feel when I go to the African market. 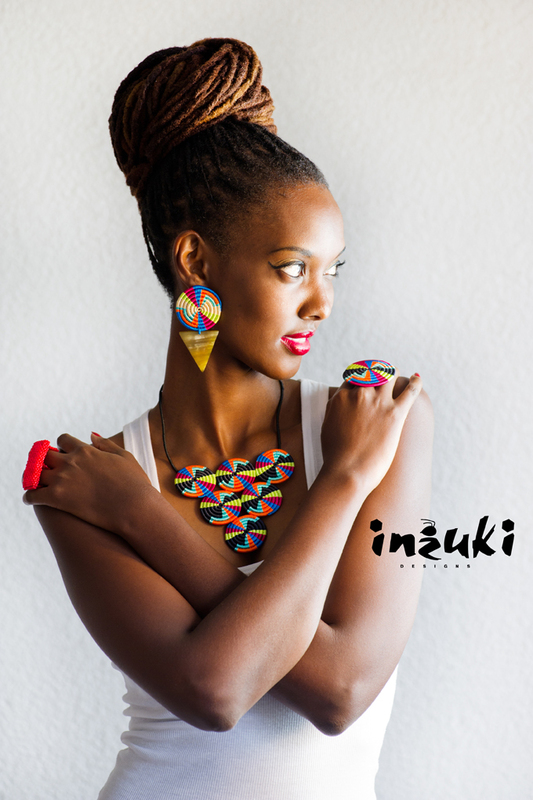 I love me some Inzuki Designs! Very beautiful.